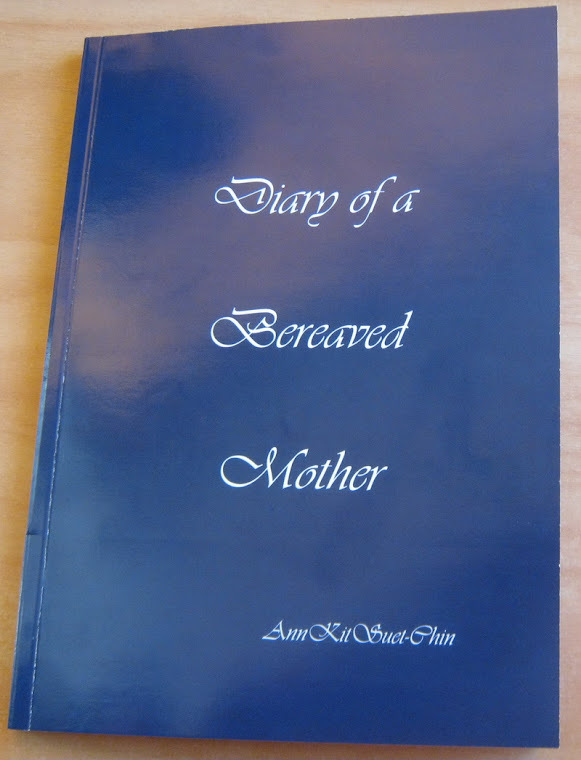 Diary of a bereaved mother, 丧儿记,: 丧失儿子的母亲的一本传记: Con-jointed twins. This photo of a Filipinno conjoint twins Clarence and Carl Aguirre, while they were still con-jointed tugs at my heart string. Their operation was successful, was it because they had a "staged separation" that took four surgeries over nine months or were they in a less severe condition. Ganga & Jamuna Shreshta were born in Kathmandu, Nepal in 2000. They came to Singapore in 2001 and underwent a grueling, 100-hour operation. Sadly Ganga died 8 years later in 2008. Ganga was left brain-damaged and died of pneumonia . I was privileged to be invited to see Ganga and Jamuna while they were still con jointed. The image burnt into my brain, the grand father said he invited me to see them because I helped in their fund raising. My friend Manchala and I were the only non medical and non family to see them in this condition. Looking at Clarence and Carl's photo, for a while I thought it was Ganga and Jamuna.